Peak Transfer provide reliable airport and in resort transfers from Geneva to Combloux, get a quote and book online today. Combloux is a lovely Haute-Savoie farming village that dates back to 1284AD; its name is derived from “la combe aux loups” in English – Valley of the Wolves. The village has a genuine rustic charm, locals will be quick to tell you it is known as “le perle du Mont Blanc” due to the fantastic views afforded of the Mont Blanc massif from pretty much anywhere in the village. It is ever more popular with winter sports enthusiasts who are looking for authentic mountain village life. 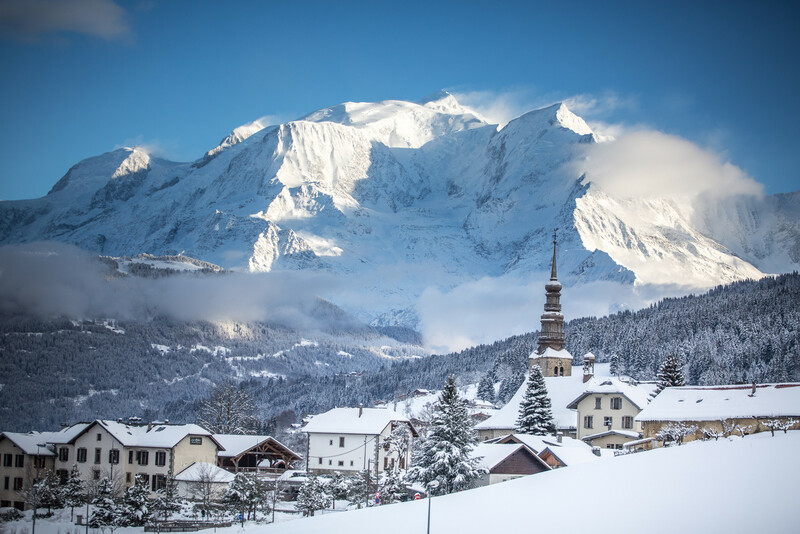 With just over 2000 permanent residents the ski area is part of the larger Evasion Mont Blanc taking in Megève, Saint-Gervais & Les Contamines. This gives you access to over 445km of skiable piste, more if you are prepared to venture into the backcountry. There are slopes to suit every standard of skier and boarder, off-piste guiding can be arranged through Megeve guides – www.guides-megeve.com. Sometimes fresh tracks can be found here days after some of the busier resorts have been tracked out. The nightlife of Combloux can best be described as relaxed, it is a place comfortable in its own skin as small mountain village and if your main objective is to party hard then you should look elsewhere. There are a couple of warm & friendly bars to enjoy après ski. For a small village there is also a wide variety of restaurants to choose from everything from pizza through to Savoyarde and haute cusine can be found in Combloux. As with all of France they are passionate about food and have their own “Festival de la Gastronomie” each winter. This is where 3 local ladies from each of the 14 villages of the Haute- Savoie prepare their best “Farcement” (A farcement is the equivalent to a Sunday Roast to the English!) and the 3 best dishes are awarded prizes. There is live music and local mountain entertainment creating that true Savoyard experience!